I love DHC products so much. They’re always so intriguing and they always turn out to be such great solutions to beauty problems. They’re so well designed and they work! 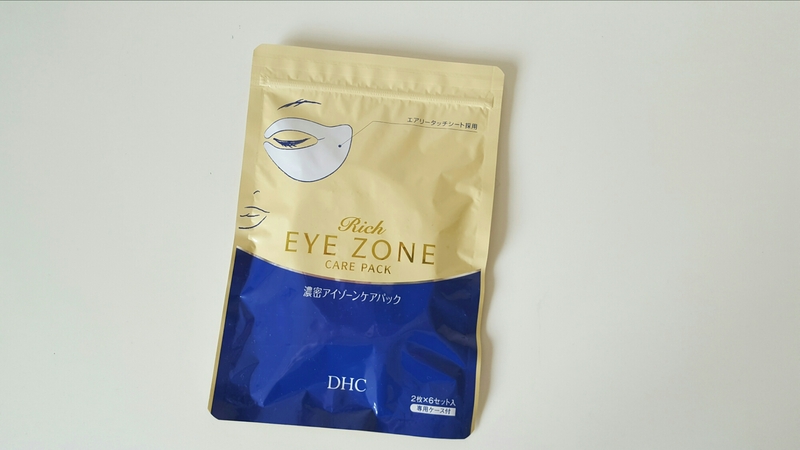 This Rich Eye Zone Care Pack is just so handy. 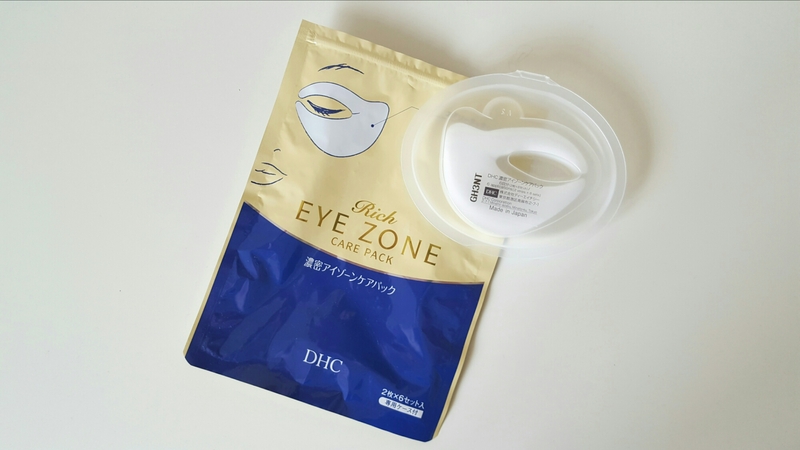 Inside the pack are 6 are six sets of right and left eye masks paired together and contained in recloseable moulded plastic pack that’s inside a resealable outer pack. They’re intended to revitalize the whole eye area with a serum containing hyaluronic acid and elastin to protect your skin’s natural moisture barrier. The formula is creamy and also contains multipeptides to support collagen. Further hydration is provided by including olive fruit oil. Directions are to apply the masks to the eye area after cleansing and toning. They’re stuck together in twos, and you peel them apart and apply one to each eye. What’s great is that you only need to leave them on for 10 minutes then you can take them off and throw them away. You’ll find some residue remains and you just need to gently massage that in. I think I’ve just added these to my list of DHC products that I didn’t know I needed but will probably be addicted to very quickly! They would definitely be travel friendly.